Written by Charles on September 29, 2015 in Blog. This one’s obvious, but obvious for good reason: when you eat fresh, water-based foods, you’re more likely to be healthier and more energetic. Maui’s subtropical climate makes year-round farming possible, ensuring a constant supply of fresh, healthy fruits and veggies. Few things in life are better than eating produce grown nearby! Sure, you could just as well shop at your local Maui supermarket, but a farmers market offers amazing alternative benefits. For one thing, you save money since there’s no middleman, markups or shipping costs to pay. Second, you get to meet the people who grow your food. There’s so much to learn and share when you make a direct connection with people! 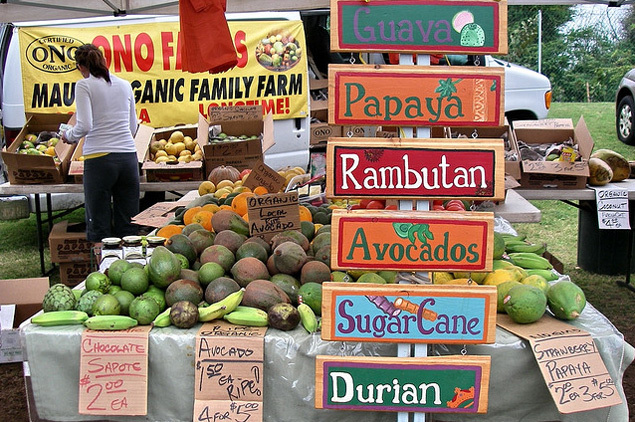 An honor stand is not an actual farmers market, but rather an un-manned produce stand. Instead of paying a person for the food, you leave the money on your honor. The owner will put out whatever fruits are available for the day, usually with a price list attached to the stand (sometimes not, they might ask you to pay what you think is fair). Honor stands are cool because they offer a quick way to keep yourself in check. If you’ve ever been to one you’ve no doubt asked yourself: How would I feel if I just took this fruit without paying? Have you ever savored fresh coconut water, right out of the coconut? Heavenly, isn’t it? Coconuts are just the beginning. 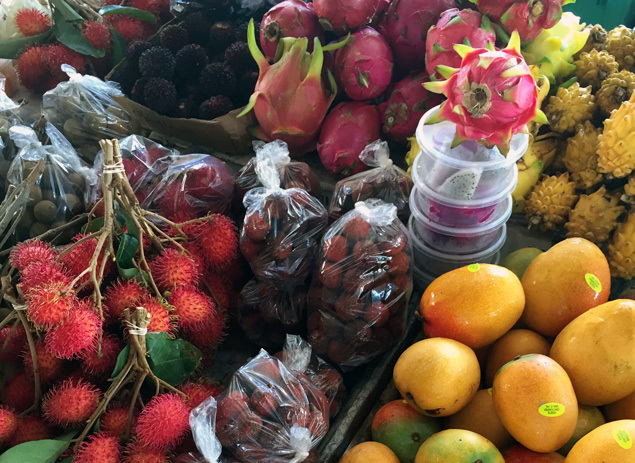 At a Maui farmers market, you get some of the world’s most exotic fruits, including star apple, mountain apple (ohi’a ‘ai), jaboticaba, rambutan, lychee, dragon fruit, eggfruit, starfruit, cherimoya, longan…the list goes on. But that’s not all! Many vendors sell one-of-a-kind delectables such as coconut candy, mango dips, raw vegan chocolate mousse, fresh poi and more. 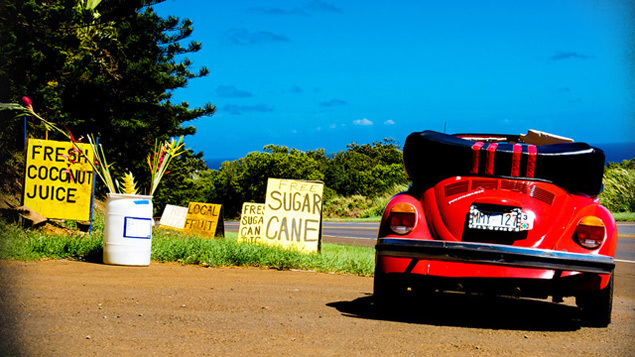 Yes, we’re going to advocate hopping in the car for your next Maui farmers market or fruit stand adventure. 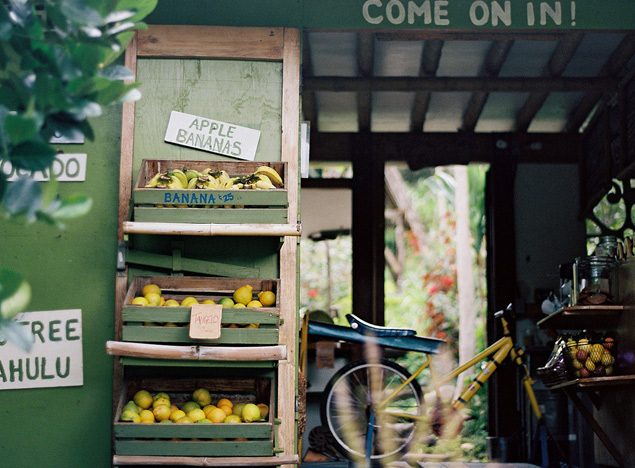 The famous road to Hana in particular is not only stunning, but it’s full of curious produce emporiums along the way. Would you like some fresh banana bread and sugar cane juice with that beautiful drive? 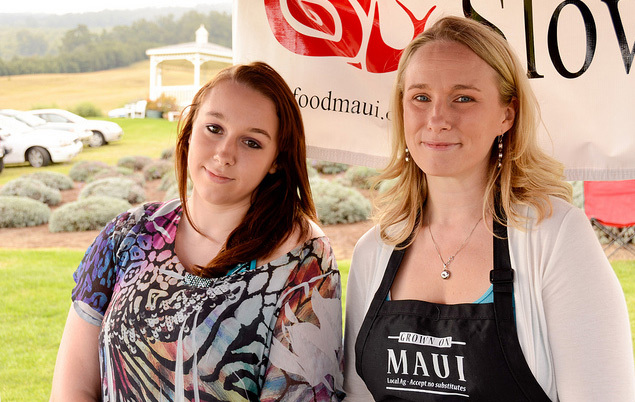 BONUS: See a list of Maui’s farmers markets here and here.